We offer a large selection of Genuine Harley-Davidson® Parts and Accessories right here at Cowboy Harley-Davidson® of Austin! Our showroom features the latest in Harley-Davidson®. If we don't have it in stock, we can find it for you. We can also assist you with customizing your Street™, Sportster®, Dyna®, Softail® or V-Rod®. You get the most satisfying results with a plan for how you want it to look. We customize Street™, Sportster®, Dyna®, Softail® or V-Rod® all the time, so let us help you design yours! Stop by and enjoy friendly service for all your parts and accessory needs. Find all of the Genuine Harley-Davidson® Parts and Accessories you need at Cowboy Harley-Davidson® of Austin! Planning on spending the weekend giving your Harley-Davidson® a tune up? 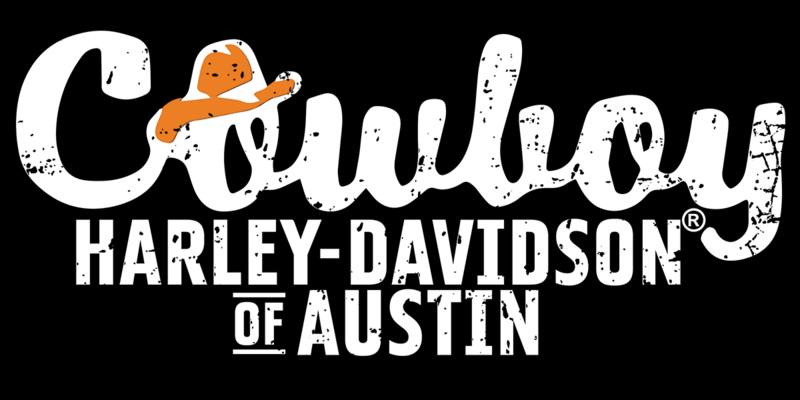 Swing by Cowboy Harley-Davidson® of Austin, located right here at 10917 South IH-35 Austin, TX 78747, for all of the Harley® parts you need, near Round Rock, Cedar Park and New Braunfels. Anything you could possibly want or need - wheels, shifter pegs, saddles, saddle bags, bars, mirrors, you name it - we either have in-stock, or can order for you! If you need some Genuine Harley-Davidson® Parts and Accessories that we do not currently have in-stock, we'll get for you as fast as possible, so as to not spoil your plans to ride! To order Genuine Harley-Davidson® Parts and Accessories now, or if you have any questions about what exactly you need to do your maintenance, fix, or upgrade, just ask us below, and we'll have one of our friendliest Parts Department representatives get back to you as soon as possible! If you'd rather have someone do the work for you, simply schedule a service appointment with one of our Certified Harley-Davidson® Service Technicians by calling 512.448.4294, or filling out a form on our Service page!